Additional District and Sessions Judge‘s Office Job Circular 2016. 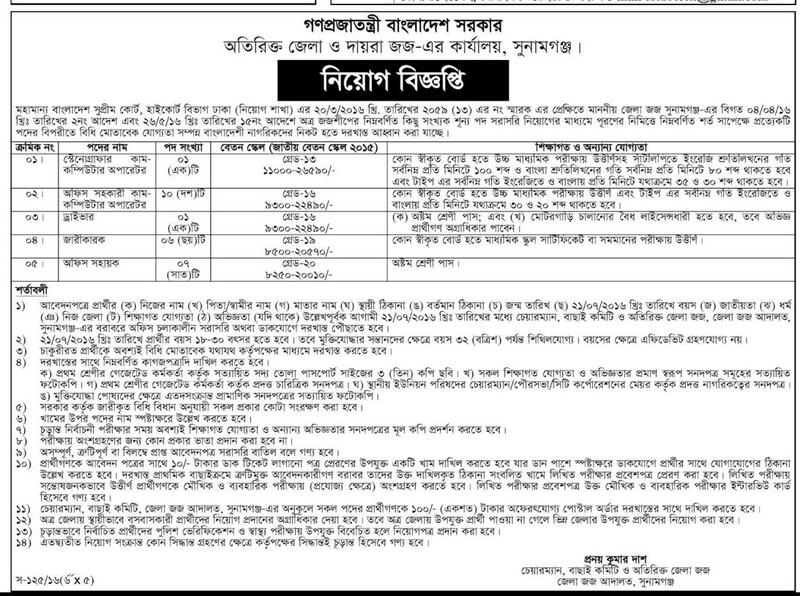 Additional District and Sessions Judge‘s Office Job Circular has given for Sunamganj District. All Latest Jobs Circular of Additional District and Sessions Judge‘s Office in Bangladesh are found here. Keep searching about Additional District and Sessions Judge‘s Office Recruitment Circular Online here.